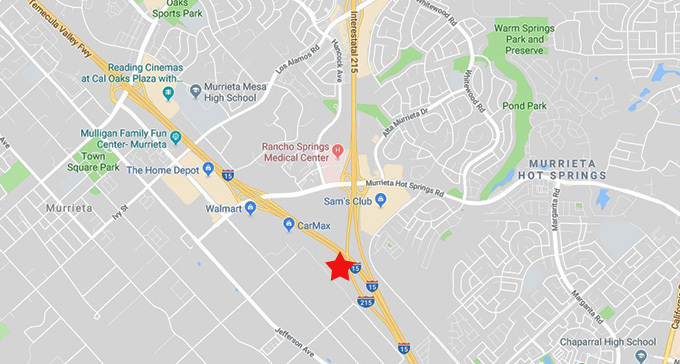 A motorist died in a single-vehicle accident Thursday in Murrieta when the vehicle struck a support pillar of the 215 Freeway bridge over the southbound 15 Freeway, authorities said. The driver, who has not been identified, was driving a 2013 Ford Explorer in the No. 3 lane of the 15 Freeway about 11:25 a.m., according to a California Highway Patrol news release. According to a witness, the vehicle was traveling about 70-75 mph when it moved onto the right shoulder and increased in speed, apparently trying to pass a slower-moving big rig. The Ford Explorer continued to veer to the right at approximately 80 mph when it struck the concrete pillar. The vehicle caught fire and the driver was pronounced dead at the scene. The CHP is investigating the accident.